But since we are renting this little farm didn’t want to spend the time doing his über professional/factory quality look so I went with a basic distressing. I get a lot of questions about my kitchen cabinets when I post photos of my kitchen so here’s how I did it. You can see my kitchen (though it’s changed a bit) here. And you can see our porch here. Both have example of this technique. The color I used in Minwax’s Charcoal Grey (over a Benjamin Moore white) and I used a must-have Wooster brush to apply. Found here. Of course, if you are in the Wisconsin, Illinois, Indiana and Michigan you can just have hubby come and do yours! 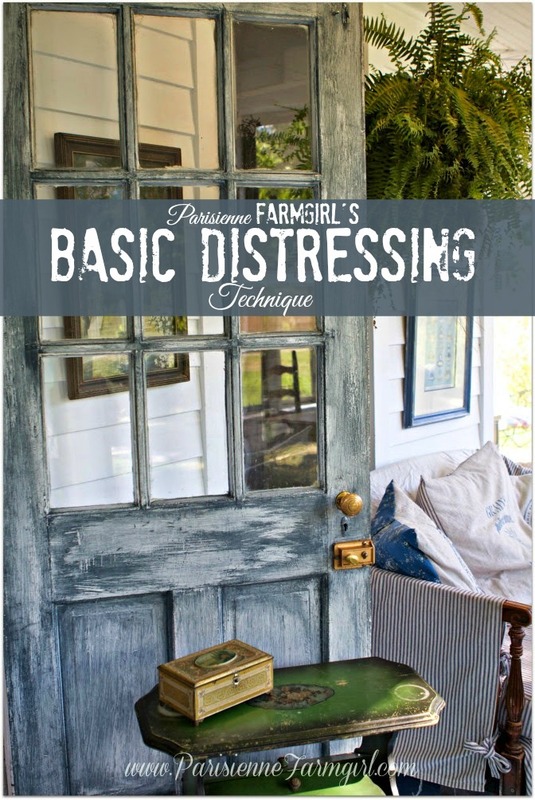 If you try this – send me photos and I’ll post them on the Parisienne Farmgirl Facebook Page! How fun! You make it look easy! Your darling camara man did an awesome job as well! Great tutorial! 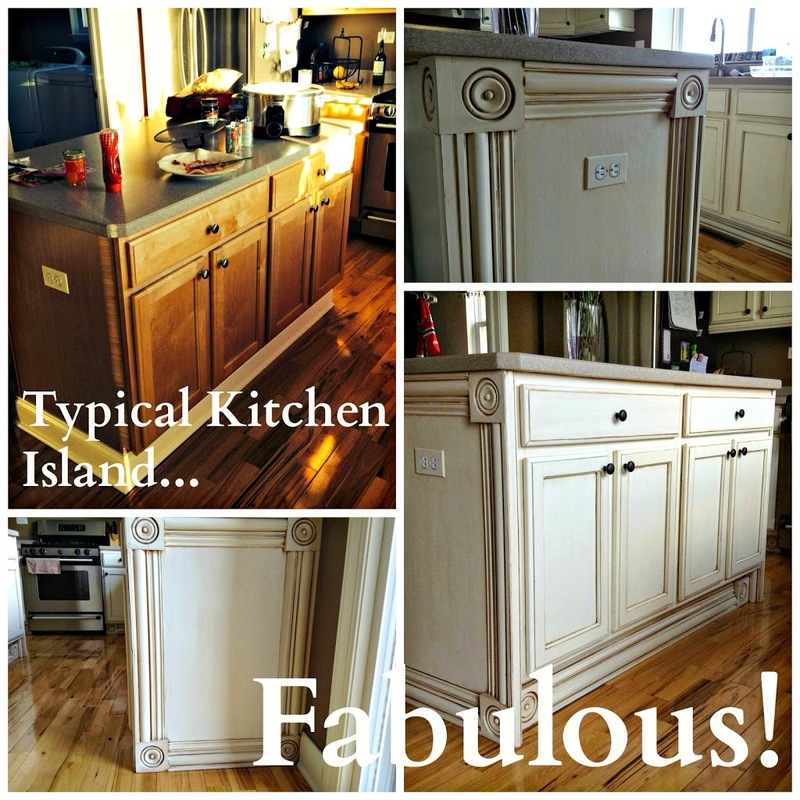 I’ve always wondered how you got that awesome effect on your cabinets. Thanks for sharing. 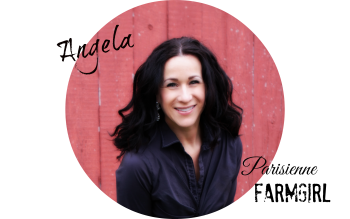 Love your blog and Facebook page ! Congratulations on your new baby boy ! He is beautiful ! I would love to have your husband repurpose our kitchen cabinets, hopefully around the new year 🙂 But in the meantime, I would like to repurpose my desk 🙂 Ive watched the tutorial, but i have a question- did you paint the door white before distressing with the latex stain ? My desk is a cherry stained wood and Im wondering if I have to sand it or I can just paint it white and then use the latex stain ? Any advice ? The door was white. You’ll want to sand it and paint it with a high end primer or with oil paint before applying the stain. 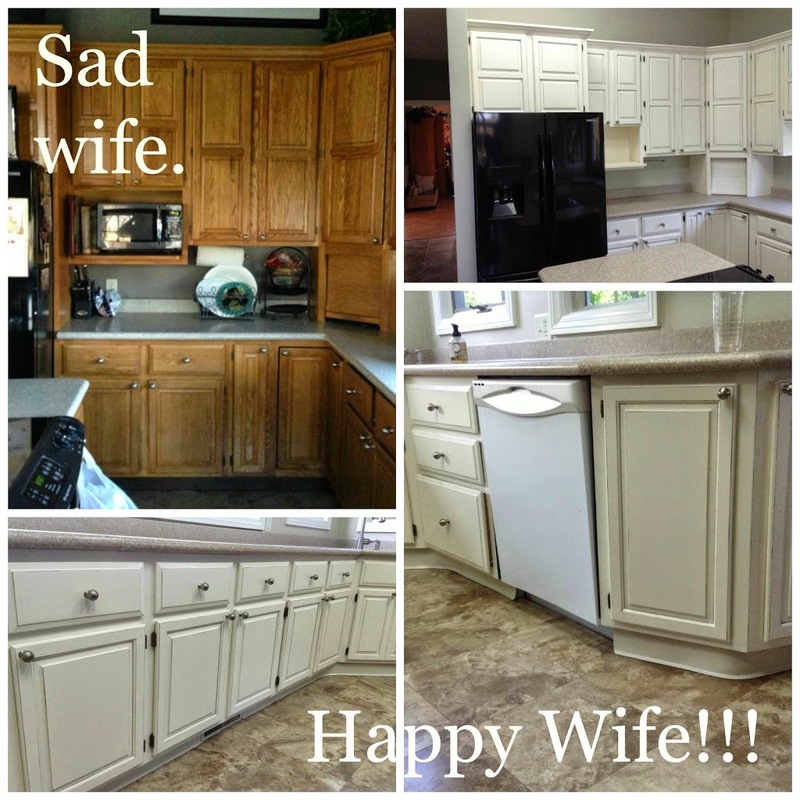 Looking forward to seeing pics of your kitchen!